Project: K.I.T.T. 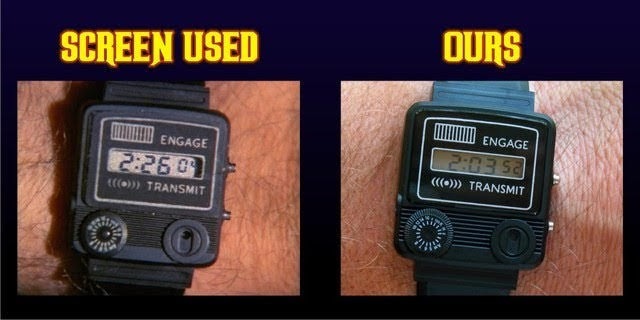 : KITT, Can You Hear Me Buddy? 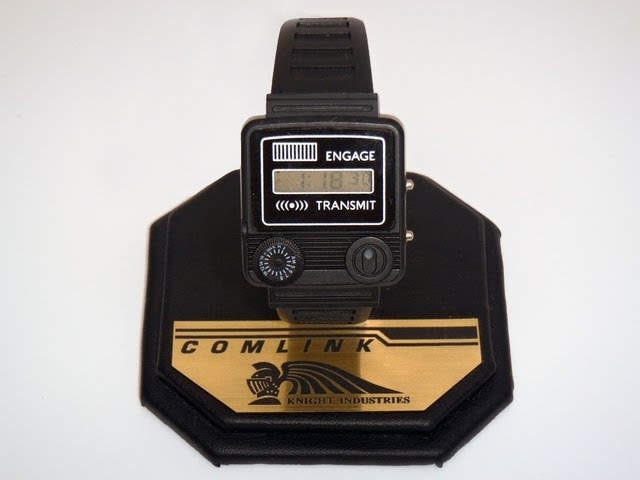 The face of the watch is screen accurate and has the added benefit of having the decal behind glass unlike the prop which was just a sticker over the face. This gives it a much more realistic look and offers protection for the decal. 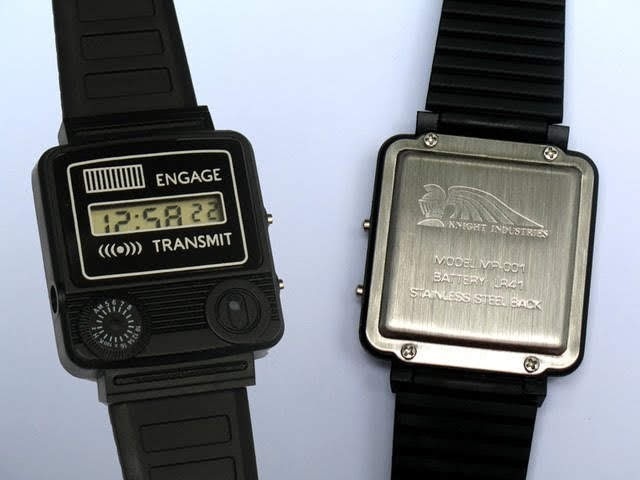 Mark even added a little more authenticity to the watch by adding a stainless steel back stamped with the Knight Industries logo. 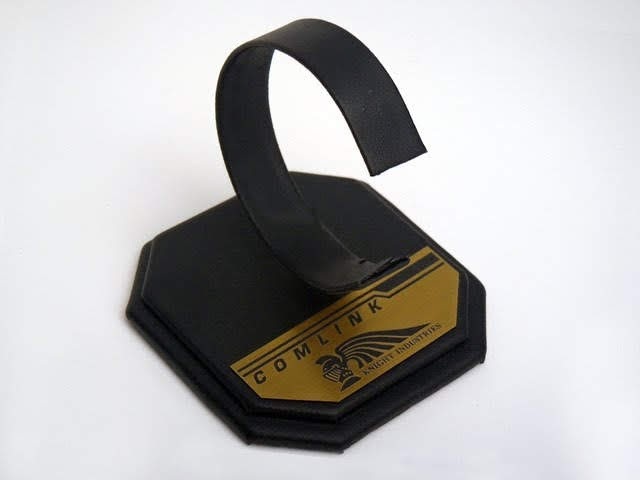 The leatherette covered watch stand also includes an engraved metalic gold display plaque. 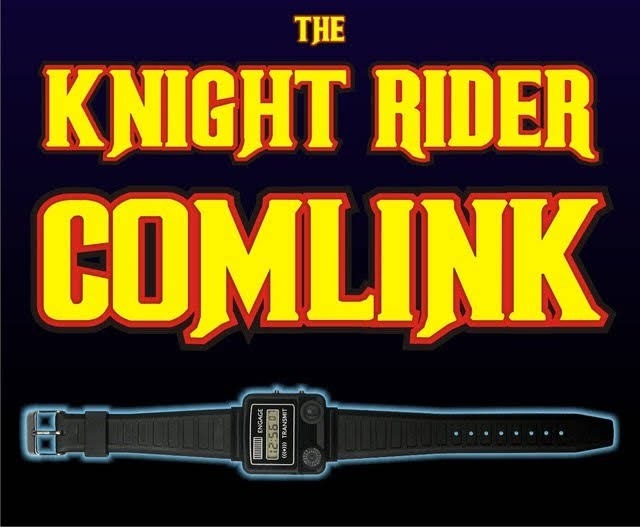 Engraved in rich black with text and art saying COMLINK and the Knight Industries logo. 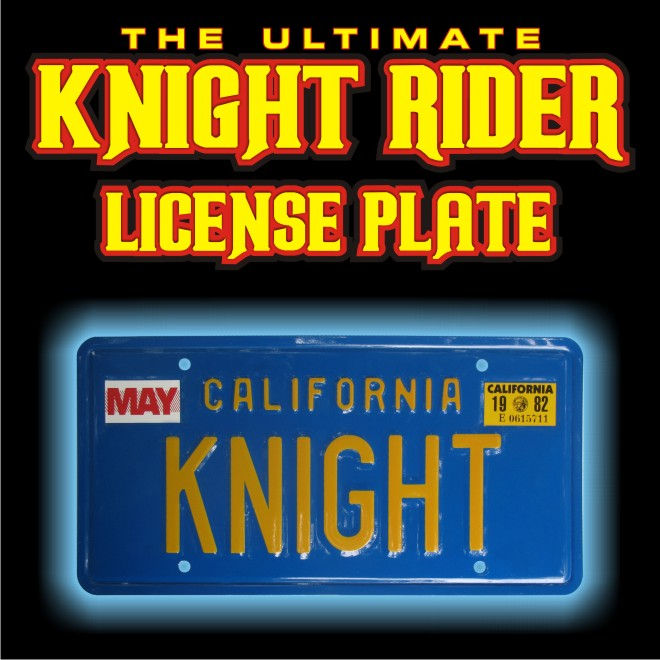 Mark is also very well known for his authentic 'KNIGHT' license plates. It is obvious he gone to great lengths to ensure his plates are screen accurate. 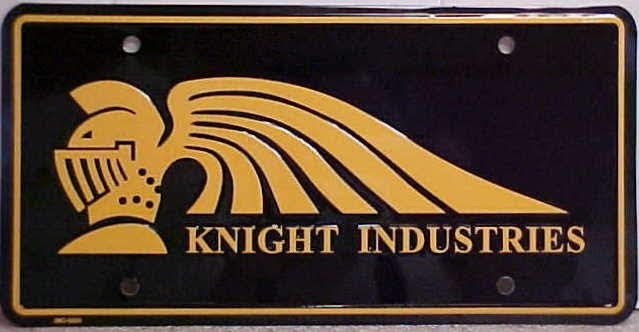 Mark has also created his own 'Knight Industries' plates. 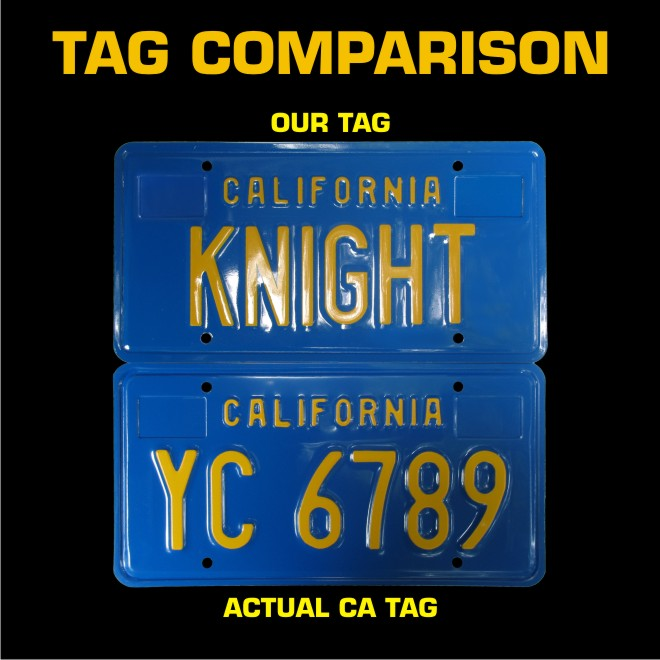 These plates are also stamped and show the same level of quality and detail as his 'KNIGHT' plates.